Medical | Accudyn Products, Inc.
At Accudyn, we combine engineering expertise and materials knowledge to design and mold exceptional products for the medical device industry. Our engineers are involved early in product development to help guide part and mold design as well as to optimize processes for manufacturing. 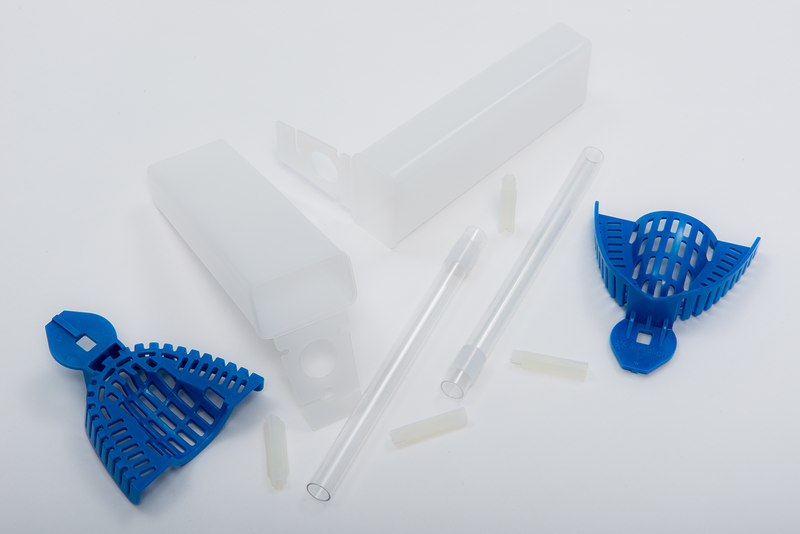 Accudyn’s injection molding for the medical device industry includes functional cases, housing and closures that have significant cosmetic and tight tolerance requirements. For all our medical parts, we provide UL Certified resin traceability. "Everyone at Accudyn understands that satisfying the customer is a responsibility that we all share, that everyone has an important role in ensuring that we keep the promises that we make to our customers and to each other." "Tooling is a vital piece of the puzzle, ensuring that tool designs are optimized, allows molds to be built that will produce the high quality parts that we deliver to our customers at Accudyn." "Ensuring we understand what our customers' expectations are and communicating them to the rest of the organization is a vital part of our Customer Service effort and really helps us to keep strong relationships both internally and externally." "Since joining Accudyn in 2014 as a Customer Service Representative, not only am I surrounded by bright, friendly and talented people, but I have been provided many opportunities for personal and professional development." "Meeting customer expectations is not only about having good machinery. It's doing your job with passion, deliver when promised, attitude for service, be proud of who you are and what you are doing for the company, think positive and be the change factor." "Good parts start with concentration on your job. It is important to take pride in what you do in order to produce quality parts." "We believe our accounting department upholding integrity is important and proven through our customer and vendor expectations." "As part of the Accudyn team, it is important for the Accounting Department staff to build strong relationships based on trust and dependability with customers and vendors alike." "Community involvement and giving back to local organizations is very important at Accudyn and as a Marketing Coordinator, I am proud to showcase all that we do." "As project engineers, we specialize in risk identification and mitigation strategies throughout the entire product lifecycle. The result is robust part, tool, and process designs to exceed our customers' quality expectations." "We at Accudyn love new challenges, this is what makes us keep growing and getting better. We are passionate about putting together our knowledge and abilities to find a way to make things happen. Our focus is to create value for our customers." "Accudyn's engineering philosophy is simple, Combine a systematic approach with empowered employees to make the right decisions each step of the way. Communication is essential to successful project management." "Accudyn de Mexico's focus has always been to not only meet, but to exceed our customers' expectations through our customer service and product quality." "All of us in the Quality Department pride ourselves on making quality products. In the 10 years I've been at Accudyn, I've got to be a part of their amazing growth and success and am truly proud to be a part of this Accudyn family." "We work to ensure that our customers feel confident in us by meeting their requests in time and with excellent quality. This is achieved through the importance of communicating the needs of the customers with the rest of our Accudyn team."